MyOwnArizona™ Real Estate is building a cohesive team of real estate professionals and support staff capable of delivering premium services and value to our clients. Our agents have an outstanding reputation for professionalism and an unconditional commitment to quality. MyOwnArizona™ Real Estate agents are full time real estate professionals, with market knowledge, technical competence, and the highest of ethical standards and practices. MyOwnArizona™ Real Estate is aware that there is a lot of nonsense out there and the Internet helps proliferate it. While at the same time, there are a few potentially good agents at large. MyOwnArizona™ Real Estate and potential agents need to be cognizant to the fact that doing business the way we are doing it is not easy. It is a great deal of work. We were successful from the beginning because all of us make the time and are all hungry. We also trust each other implicitly and we did not worry about who is doing the most or whether things were fair or equal. We work our tails off. MyOwnArizona™ Real Estate does not feel that we need to hire or more correctly partner up with really experienced agents. We would rather have some really hungry agents that were successful at what they did in their past life. So take a look at your past. My MyOwnArizona™ Real Estate will be upfront with you, there is a 75-85% failure rate of real estate agents in their first year. Many times this is not due to lack of hard work, skill, or knowledge. Many times it is because they were not given some training and direction. Real estate is a very interesting business. A broker hires an agent and only pays them when they close a deal and generate a sale. The broker has no investment. The agent is an independent contractor. The success rate of insurance agents is much higher than the success rate of real estate agents. We believe this is true because to become an insurance agent you need to get hired as an employee of the insurance company. The company pays you while you are trained, and then give you a draw on future commissions until you are able to stand on your own feet. When most companies hire an agent they are making a commitment of 10's of thousands of dollars and because of this they put a lot of effort into finding the best. On the other hand, in real estate a potential agent might say to themselves, "look at how much I can make selling real estate, I think I will become a Realtor. It will only cost me $1,000 and I will make a $100,000 my first year. I'll get rich!" Meanwhile the hypothetical broker is sitting their supporting this kind of nonsense. So as a result the real estate job market is getting 100's of agents in a market that will only support 5-10. 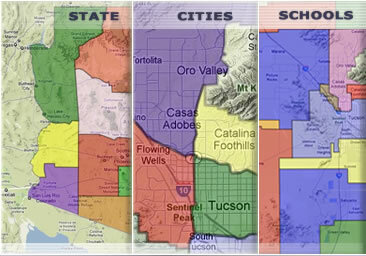 MyOwnArizona™ Real Estate has spent a lot of time thinking about this over the past 30 years. We have a lot of experience in hiring and training many successful agents. MyOwnArizona™ Real Estate has with www.MyOwnArizona.com a very unique opportunity to offer to real estate agents. We are continually developing a system for hiring and training agents to work for us. If you are still interested, we have some ideas that we think are a starting point. 2. You will hang your license with Tierra Antigua (TA) for TARMLS market. 5. You are willing to follow and use our system. 6. You have been successful in past endeavors. 7. You are ethical and honest. 8. We promise that you will get a chance to gain experience quicker with us than any place else. 9. We will supply you with leads. 10. We train you in our system. 11. You will get a trial period to show your potential. 12. We will provide you a mentor and a separate coach until you have gained the necessary skills. To this end, we seek to attract and retain bright, personable, energetic and hard-working people to fill each position. If you wish to work with the best group of people in Southern Arizona Real Estate, please contact us. 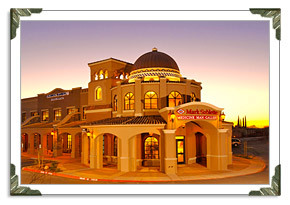 • A regionally focused real estate company specializing in the greater Southern Arizona area. • A culture of integrity and the highest level of client service. • A well-integrated real estate website and international digital marketing network. • A cutting-edge contact management system with around the clock support. • Direct involvement and immediate access to the company's owners who offer personal mentoring and coaching with hands-on training. • State of the art technology and agent assistance offering all of our agents the ability to manage their business from virtually anywhere in the world. • "A Company that Cares", giving generously of our time and resources to the neighborhoods and communities that we serve. MyOwnArizona™ Real Estate success comes from making it challenging, holding people accountable and teaching them how to sell. We have found that by the end of a few months we train our new agents all that we know and they are already highly successful. Actually, they are unusually successful. We use the principals that we start with and develop from there, if not the most, one of the most successful real estate training in the area. It is unbelievable what our program will do to turn potential real estate dropouts into very successful agents. We have seen it happen many times. All of these reasons translate into more business for you. We know that we succeed when you succeed. We are also at this moment forming a network of premiere real estate agents in all the particular Arizona markets. This is so that we might all work together in an effort to meet our client's needs no matter where they need assistance. If you are interested in finding out about the possibilities, please fill out the above form and let us know of your experience and area of expertice. This is an exciting time to be involved with the information age and harnessing that potential of good people working with each other in different areas of the State of Arizona. We look forward to talking you. Contact us at: info@MyOwnArizona.com for State of Arizona real estate.